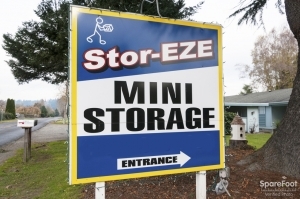 Stor-Eze Mini-Storage has been serving the South Sound as a family run business since 1990. 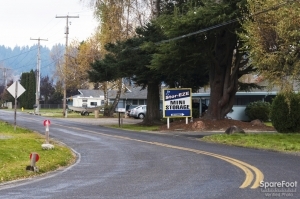 We have four convenient locations along the Highway 512 corridor from Lakewood to Puyallup & Sumner. All locations cater to the military and offer discounts to active personnel. Long-term discounts are also available. 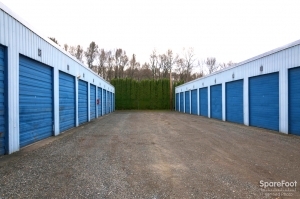 Each self-storage site has a full range of unit sizes as well as vehicle parking. All units are on ground level for your easy, drive-to-the-door convenience. 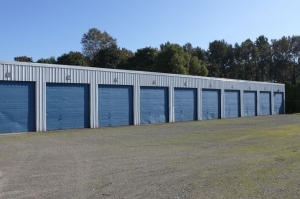 Contrary to the popular trend in storage, we feel that having managers who live on-site offers the highest level of security for your valuables. All of our locations have resident managers. 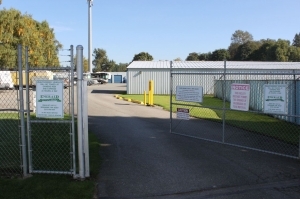 Our goal is to provide outstanding customer service and secure and safe storage at the lowest possible cost to you. Great service, and location (for me!). Very NICE man checked us in.The place was very clean and kept up very nice. Not a bad thing to say about my experience. The pricing and people were great. 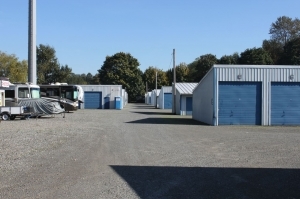 This place is very clean and the pricing was one of the best in the Seattle/Tacoma area. 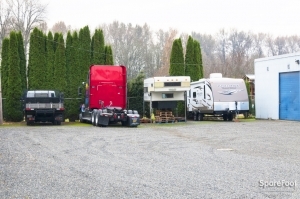 The price was pretty good, but they only have portable restrooms and the driveway is not paved, which made it very difficult to move stuff around with the dollies. Customer service was very good too. Clean facility. Nice people. 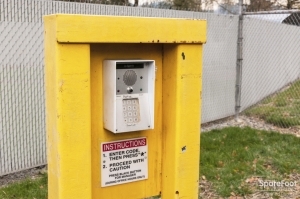 Secure environment. This our second time using this facility and both times we have had a great experience. All things considered, I thought it was fine, just too unclean. Everything was fine, I would give 2.5 stars overall if I could. Only reason why I did not go with this storage company was due to the facility's overall uncleanliness. Great place in Puyallup. Plenty of room for 26' Penske trucks. You can back all the way up to the unit. Really enjoyed this place. The owners were very nice and made our move easy. So far, so good. Managers go out of their way to help and accommodate. Very helpful, very nice to speak with overall I will recommend to a friend. 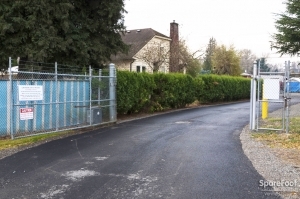 Price is reasonable, convenient access to highways north and south bound, nice people to speak to and this is important. I definitely recommend this storage to someone that needs storage. I've adored them. They are so helpful. Give you your privacy, and so kind! I cannot be happier with the care and service that I received with StorEze. I had to make arrangements in advance and needed help figuring out if my moving rig could gain access. Lana and her staff took extremely good care of me and my needs to ensure my move went as quickly and effortlessly as possible. They were in contact often so that no detail was overlooked for my benefit. I am very grateful for their efforts! They are highly recommended. Very accomodating, held the unit for me! Moving all our earthly possessions across country was stressful enough, and trying to find a storage facility or unit that would hold all our stuff and not break the bank was a tricky prospect. 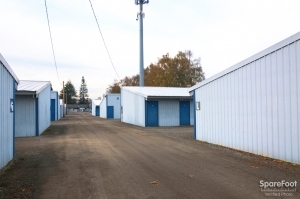 I found this place by Googling storage facilities in the area, and the managers were extremely friendly and accommodating when I had to work out the details and secure the unit of choice from 3000 miles away. Once we arrived in town and discovered our movers were going to be 2 weeks later than expected, they graciously adjusted our rental month so we weren't paying for an empty storage unit. They knew who I was as soon as I said my name, and were just as friendly in person as they were on the phone. While the facility itself is a bit tricky to find, I like that it makes it feel even more secure than it is - adds to my peace of mind. I highly recommend them - they have gone above and beyond, and I'm very happy all around. Start to finish, everything was and is perfect! Very friendly. Easy and I already referred someone. The folks were new but very nice. No bells and whistles, no tricks or tactics to dazzel and confuse. 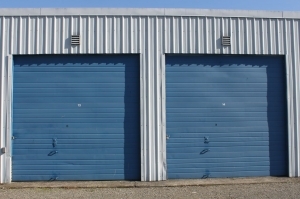 Simple, I need a clean, secure storage space and that's what I got with a great price to fit my budget. Warm and welcoming service from onsite management. 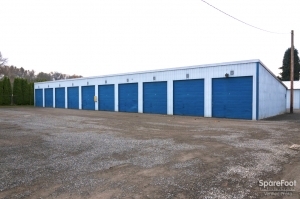 Such a relief after drudging through ton's of other storage facilities with all their tricks to draw you in. MUST rent here! We did! Price was so good! Terry and Eileen were very helpful picking the right size unit. Superior customer service and pricing! The place is older, but it feels cozy due to it being in a quiet neighborhood. My only complaint is that the gate doesn't allow access from either side after 9pm. Very pleasant to work with. Was fast with paperwork. All and all very plesant experience. Thanks! 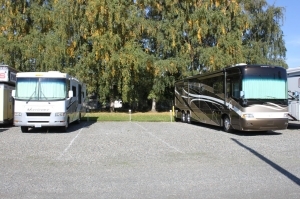 Eileen and Terry were both very helpful picking out the right size unit. Eileen explained everything we needed to know. Eileen was very friendly and helped me out a lot. I moved in to a unit here a week ago and was happy with everything. The price is so cheap! The office lady was friendly and easy to work with. The place is a little older, but still in good shape. I recomend this place. 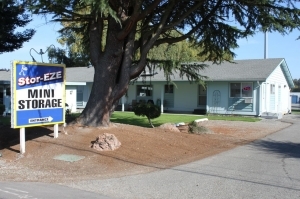 Eileen was great, service was awesome and a very clean office. All deciding factors for choosing my unit. Had a great chat with the manager when I arrived to rent a spot. I was made to feel welcome and appreciated. Older buildings but appear to be in decent shape.